About four million years ago, an ape that walked on two legs emerged in eastern Africa. It had brains only slightly bigger than a chimpanzee, but its freed fore limbs meant it could do things that its quadruped cousins couldn’t—wield a sharp stone to cut flesh, for instance. Over the next two million years, the capricious chisel of nature and chance sculpted this new ape into our earliest ancestor. Eventually, about 50,000 years ago, this early human gave rise to its modern vintage, who at some point left the African shores and gradually spread across the world as the preeminent human species by the sheer dint of its intelligence. Or so the story has been told a countless times over, each adding its own embellishment. But the main arc of this standard narrative has remained largely unaltered ever since Darwin pub-lished The Descent of Man—natural selection or genes shaping our brains, which, in turn, fashioned our behaviour and culture. 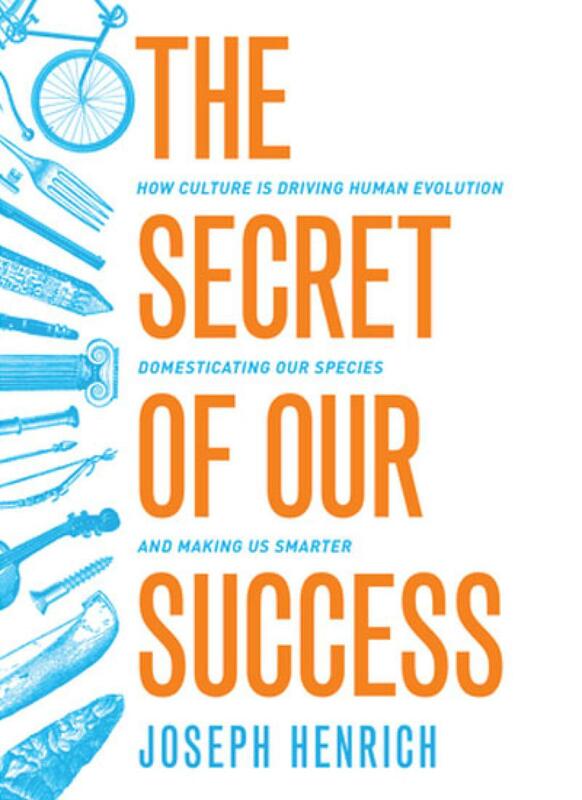 Joseph Henrich in his provocative book, The Secret of our Success, dares to unsettle this evolutionary doctrine. Collating findings from a melange of disciplines like anthropology, palae-ontology, behavioural economics, and psychology, he seeks to make culture as the centrepiece of our evolutionary history. He claims that ever since the first ape stood up, genes and culture have been engaged in an intricate evolutionary tango. Even more audacious, he posits that while genes were the dominant partner for the first few million years, once we became a cultural species, which is around one million years ago, it is culture that has been leading the dance. Henrich, an evolutionary biologist at Harvard University, de-fends his hypothesis by asking fundamental question: what makes us smart or unique? He then provides the mainstream theory’s answers, and then one by one, picks holes in them. Take the most common one: we are smarter simply because we are more intelligent. Henrich refutes this view citing a landmark study that found no difference between adult apes and toddlers in cognitive skills related to space, causality, and quantity, despite toddlers having much larger brains. In fact, in some tests the apes did much better. The only skill in which the toddlers beat the apes had to do with social learning. Another conventional explanation for our smartness is that natural selection has conferred special cognitive abilities on us that are coded into our genes, most notably with respect to two skills: working memory and information processing and scheming in a Machiavellian world. The first is self-explanatory. The second alludes to the view that our brains grew bigger and we smarter in a sort of arms race “in which individuals competed in an ever-escalating battle of wits to strategically manipulate, trick, exploit, and deceive each other”. Henrich offers two much-cited studies that pitted chimpanzees against university students and found that humans didn’t exhibit a significant edge. In Henrich’s view, this simply suggests that “although we are an intelligent species, we are not nearly smart enough to account for our species’ ecological success”. For instance, he cites the chilling saga of how an expedition of British explorers, headed for the Arctic, perished when marooned on an island. An apparently superior brain, that can build advanced technologies like a ship, was useless when it came to surviving in an unfamiliar setting. Henrich contrasts this with an equally incredible story of an aboriginal woman who found herself stranded all alone for 18 years on her island-village 70 km off the Los Angeles coast. Since she had grown up on the island, she had the skill-set to survive against the odds. Through these stories, Henrich wants to drive home the point that our ecological pre-eminence stems less from our larger brains or superior intelligence and more from our social and cultural ability to learn, cooperate, and adapt in a challenging environment. He then unravells how humans became a cultural species with brains biased in favour of learning from others, and how culture leaves an imprint on our bodies and minds. For instance, he argues that complex cultural traits, such as respect for elders, or affinity for one’s community are reflections of a mind shaped by genes that nature has selected over eons. Conversely, he cites three well-documented cases in which he believes the spread of certain cultural practices may have engineered genetic changes—the appearance of blue and green eyes in some people living around the Baltic sea for whom cereals was the main staple; the probable link between the expansion of rice farming and the spread of a new gene that breaks down alcohol more efficiently in the liver; and, the huddling of genes favourable to lactose tolerance among Europeans. While one is impressed by his attempt to rewrite the story of human evolution with culture as the main protagonist, culture is so humongous, complex and nebulous a concept that at the end of it, one feels more seduced than convinced. At times, he is even guilty of making presumptuously sweeping propositions such as prestigious people are often generous, or that lower-status individuals tend to admire and imitate prestigious individuals more than dominant ones, or that elders lose their prestige in rapidly changing societies. Still, The Secret of Our Success is a bold and thrilling theoretical adventure into the borderland between genetics and culture. 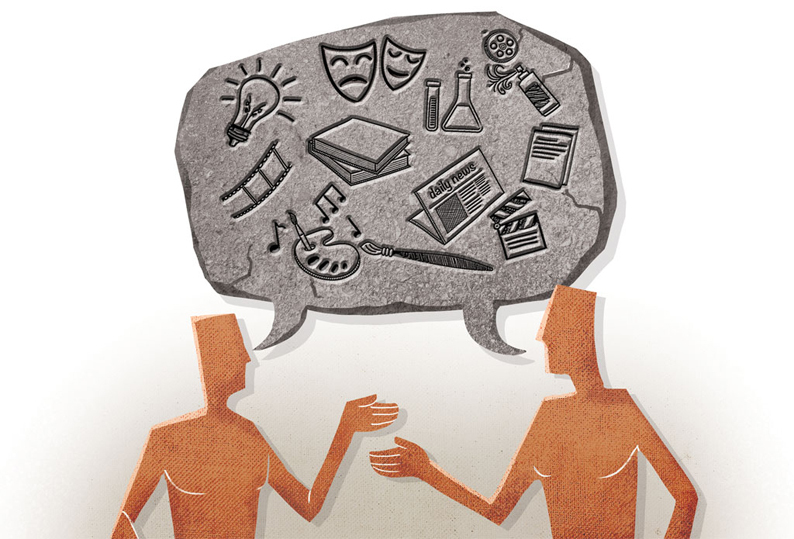 More importantly, it is a welcome harbinger for future collaborations between science and social science on the ever-contentious yet fascinating subject of culture. THE KEY to understanding how humans evolved and why we are so different from other animals is to recognize that we are a cultural species. Probably over a million years ago, members of our evolutionary lineage began learning from each other in such a way that culture became cumulative. That is, hunting practices, tool-making skills, tracking knowhow, and edible plant knowledge began to improve and aggregate—by learning from others—so that one generation could build on and hone the skills and knowhow gleaned from the previous generations. After several generations, this process produced a sufficiently large toolkit of practices and techniques that individuals, relying only on their ingenuity and personal experience, could not get anywhere close to figuring out over their lifetime. We will see myriad examples of such complex cultural packages, from Inuit snow houses, Fuegian arrows, and Fijian fish taboos to numerals, writing, and the abacus. Once these useful skills and practices began to accumulate and improve over generations, natural selection had to favour individuals who were better cultural learners, who could more effectively tap into and use the ever-expanding body of adaptive information available. The newly produced products of this cultural evolution, such as fire, cooking, cutting tools, clothing, simple gestural languages, throwing spears, and water containers, became the sources of the main selective pressures that genetically shaped our minds and bodies. This interaction between culture and genes, or what I'll call culture-gene coevolution, drove our species down a novel evolutionary pathway not observed elsewhere in nature, making us very different from other species—a new kind of animal.